Koppel’s designs tempers the strict rules of functionalism with organic, lifelike shapes. His mission was to make everyday life products beautiful as well as practical. He was trained as a sculptor and began collaborating with Georg Jensen in 1946. Henning Koppel showed an early talent for art, leading him to train in both drawing and aquarelle early on. He continued studies in sculpture at the Royal Danish Academy and later in Paris. His superb drafting skills, developed as a child, helped him in to produce outstanding product renderings of his designs. Even on their own, they form an exceptional body of work. Like many Danish Jews, Koppel fled to Sweden during the Second World War. At 27, he returned and began working at Georg Jensen. His first works – a series of necklaces and linked bracelets resembling whale vertebrae and microscopic organisms - were small masterpieces in imaginative modelling. Henning Koppel was in every way groundbreaking and his jewellery was unlike anything ever created at the silver smithy in its first 40 years. When Henning Koppel died in 1981, aged 63, he had created an astonishing range of work: from stainless steel cutlery such as “New York” which found its way into the homes of millions, to magnificent one-off signature pieces such as the silver and crystal chandelier he designed to celebrate the 75-year anniversary of Georg Jensen in 1979. During his life, he won many awards including the Milan Triennial, the International Design Award and the Lunning Prize. Accolades are important, but what means even more is that people still choose to wear a watch by Henning Koppel or to serve coffee from one of his pots. The integrity and appeal of his designs remain vital and undiminished. KOPPEL timepiece designs were revolutionary when they debuted in 1978; today Koppel’s pieces are classics. Designer Henning Koppel was one of the leaders of Danish design in the post-war period. He brought his visionary sensibilities to timepieces when he launched his first watch collection in 1978. 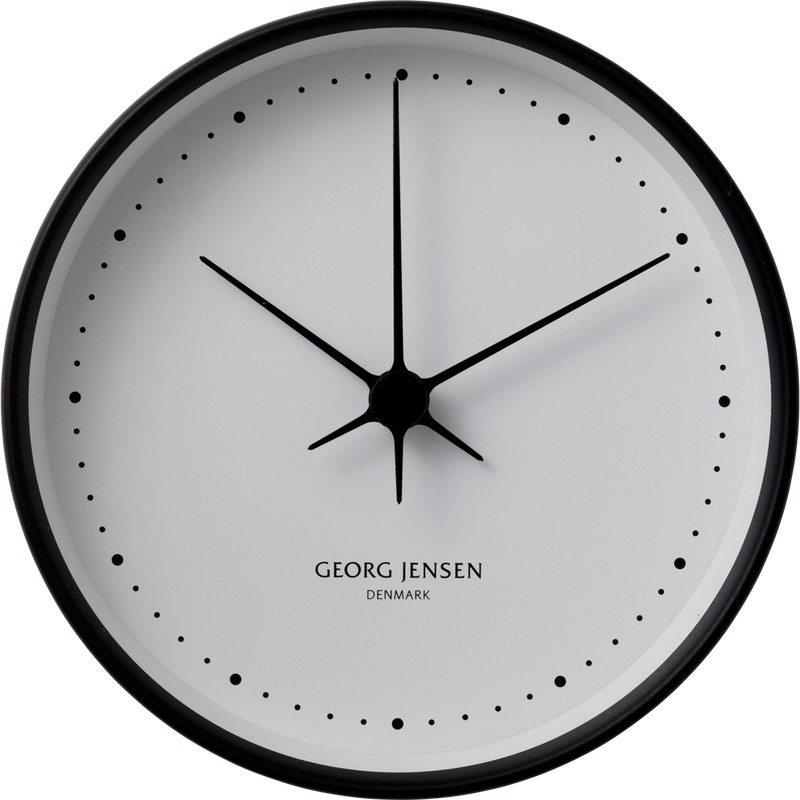 Black dots replace the numbers that are traditionally used on a watch dial. 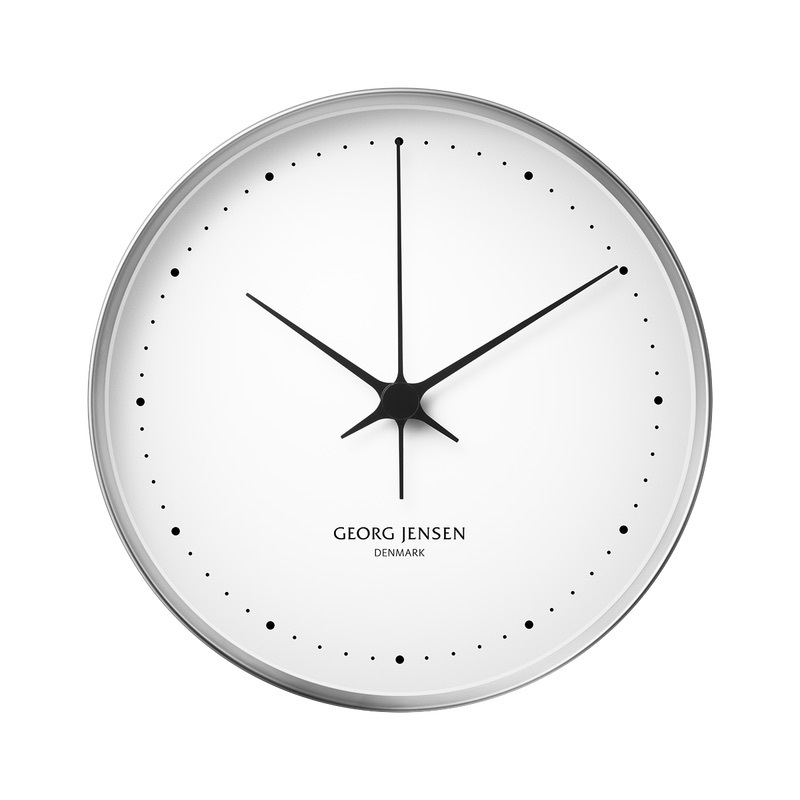 This touch has been carried over in many subsequent Georg Jensen watch collections. It is a good example of the collaboration of simplicity and quality that has been a hallmark of Georg Jensen since its beginnings. Precision quartz movement (+/- 1 second per day or 15 seconds per month). AA batteries included.